Neo-localism is a broad term that can be applied to movements such the re-introduction of local farmers at farmers markets, or the battles of citizens against Wal-Mart moving into town. Micro-breweries fit right into the culture of restoring the uniqueness of a place. There has been an obvious resurgence in local brewing since the 1980's. By shifting the norm from national to local comes with the exception that prices may reflect the quality and experience of a beer. This means that what a local consumer is willing to pay for a local beer is much more than that of a national brand. While this may be good for the local economy, national brands are realizing this is taking a large cut from their sales. According to Flack, the perceived distinctiveness of a place may be the root of success for future breweries. It almost seems as though microbreweries are teaching big names a new game of distribution. Joe Martino, part of G. Heileman stated that if national breweries want to compete with local breweries “Large brewers need to think small, and play big.” As national breweries try to adapt to this strategy you can see evidence in their rather hidden appearance in new brands. Anheuser-Busch started to make beers called Elk Mountain and Red Wolf as Coors started to make Blue-Moon and Killians Red. These names and identities of brews are key aspects to the sense of place and the success of microbreweries. In order for microbreweries to capture local markets they need to take into account a multitude of marketing strategies. “These names tend to reflect the places where they are brewed, and are derived from a wide array of sources: historical figures or events, local legends, landmarks, wildlife, or even climatic events.” (Schnell and Reese, 2003) In Wisconsin this is extremely apparent even to those who look inward to our brewing culture. Wisconsin is slowly representing its Scandinavian roots in a revival art form of brewing. An invisible landscape to many can be made apparent through the lens of beer, the type of beer, and the names associated with beer. The sense of a place can not only be brought to the attention of those in a region but can also serve to educate them on their very own town. There are five distinct themes that help microbreweries sell their product as well as keep their product geared towards a neo-localism culture. Nameing a beer is essential to its success. Attaching a sense of “rootedness” to a product allows the market to associate with local culture and traditions; a market national brands fail to accomodate for. This rootedness provides a firm foundation for those to associate with their beer. Providing historical significance to a beer allows a consumer to get a perspective to how the area was in the past and why this beer construes to that historical image. Microbreweries use images that help the consumer get a sense of the region. This in almost all cases requires the beer to contain no images to today and helps further seal it’s historical roots. Brewing beers that intertwine with the harvest cycles allow breweries to phase in and out specialty prodcuts that truly go with the seasons. This allows a regular consumer to become a connoisseur. Relating beer to nature allows a consumer to see where a brew originates and the type of environment in which it was intended to be consumed. Breweries of this small caliber are local breweries that are typically fitting Flacks neo-localism approach. By mapping the location of these breweries in Wisconsin, we will be able to further identify the local culture that each company identifies itself with. 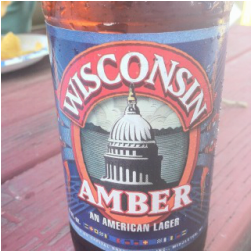 Microbreweries offer a look into Wisconsin through a different type of lens, one of which can help us get a glimpse of the cultural and landscape geography that exists here.